Coming up with a unique couples costume ideas for Halloween or a masquerade party can make you the hit of the party or even the winner of a costume contest! With this cute costume idea, the term 'maneater' takes on new meaning because we all know that the spider eats the fly. 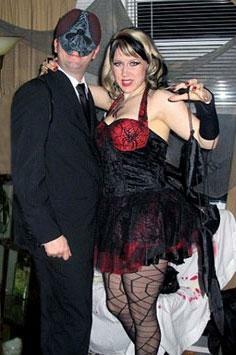 The female in this couples costume dresses up as a black widow spider and the male dresses up as a fly. When a couple wears this costume it is apparent that she is a 'heart stopper'. The female will dress up as a heart and the male dresses up as the arresting police officer. They are attached by a set of hand cuffs at the wrist. 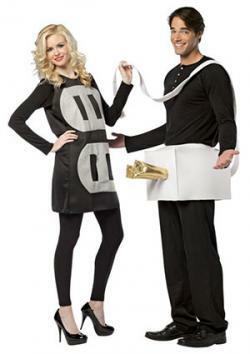 The plug and socket couples costume has sexual connotations. The female wears a costume that looks like a wall socket. The male wears a plug that is attached to his body right below his belt. It is obvious that his plug will fit perfectly into her socket. For this fun and unique couples costume idea, the guy dresses up as a pirate and the girl is the treasure chest. The pirate costume is self-explanatory. The girl wears a gold or silver t-shirt and attaches gold, silver, and pearl beads and coins to her chest area. The couples Hershey bar costume points out the difference between the male and female anatomy. Both the male and female dress up as a Hershey bar, except she is a plain Hershey bar and he is a Hershey bar with nuts. 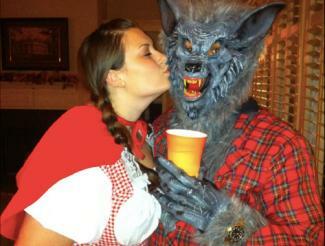 Following is a list of more couples costumes ideas that you may be able to find in a costume store or online. The ideas are endless for unique couple's costumes. Part of the fun of dressing up with someone is coming up with the idea together and then going shopping for it. Finding the perfect costume that fits both your personalities will surely make you the hit of the party.